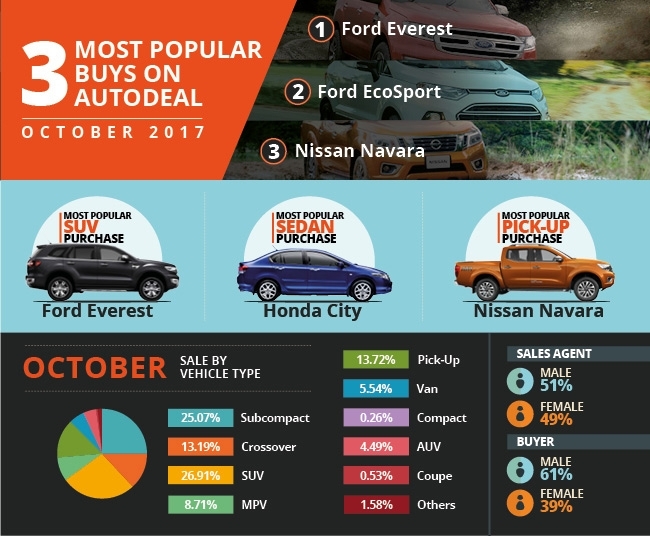 Online sales transactions grew by 12.7% on AutoDeal during the month of October as the automotive industry looks poised for high yield end year sales ahead of the onset of increased excise tax in 2018. The rush is further signaled by a decreased transaction time, which dropped from forty-five (45) days in September to a record thirty-eight (38) days in October. 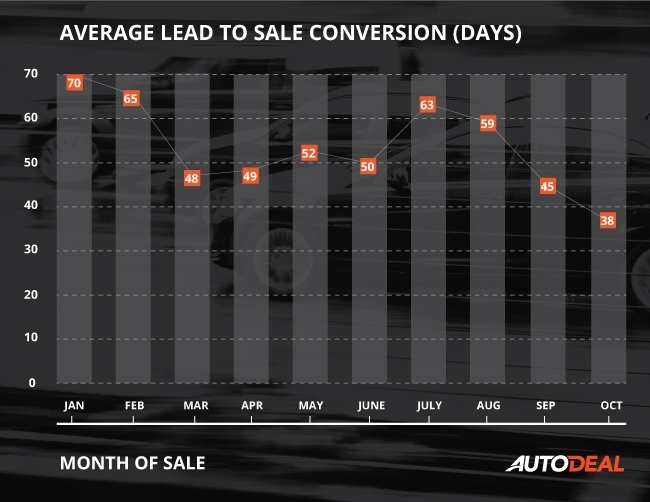 “Strong lead numbers, increased sales and a significantly reduced lead to sale conversion timeline suggests that the new car-buying is going to remain strong up until the end of the year.” stated AutoDeal Co-Founder, Christopher L. Franks. Lead’s generated during the months of August and September made up approximately 65% of the October sales, while 16% of transactions occurred within a thirty (30) day period. 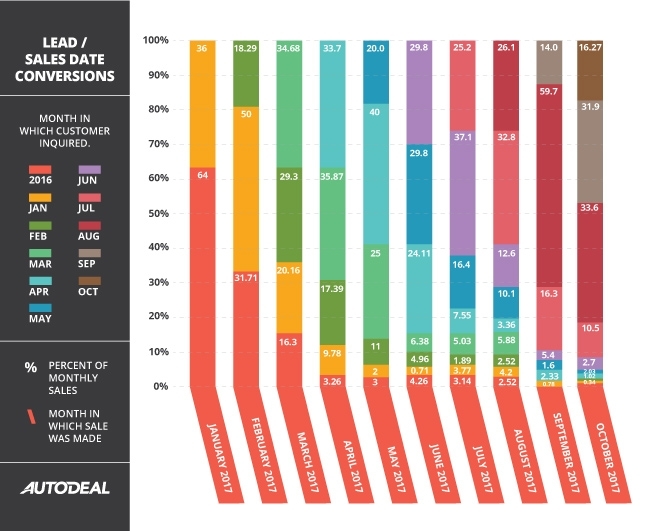 In addition to this, leads generated as early as January also continued to convert in small numbers. 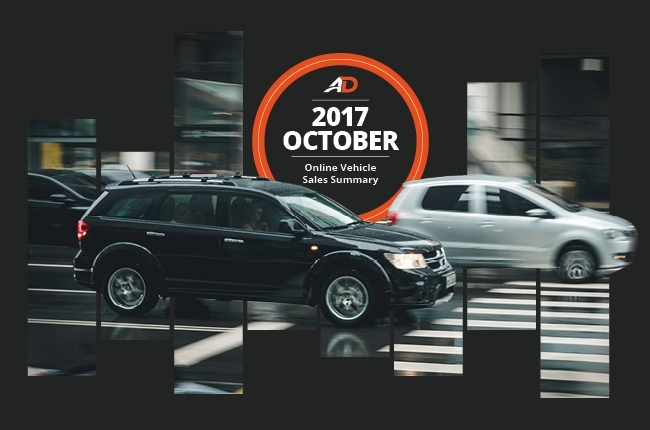 Increased sales transaction speed continues to closely mirror dealer online engagement metrics, which for the month of October showed continued improvement. The number of dealers on AutoDeal responding in three (3) hours or less grew by 1% to 12.2%, the number of dealers responding within 24 hours grew to 43.7% whereas dealers taking longer than 24 hours decreased by 5%. “Dealers are beginning to notice the correlation between engagement and conversion. As such we’re continuing to see improvement, especially among those brands that are continuing to make exponential sales.” added Franks. 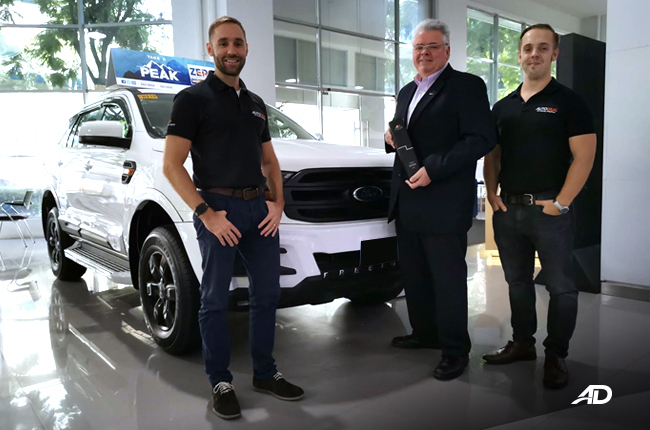 Ford continued to be a strong driver of online transactions with the Ford Everest taking the mantle of the most popular vehicle for the month of October, closely followed by the Ford EcoSport, which was dubbed as one of the driving forces behind Ford’s increased sales growth in October. Preventing a clean sweep at the top for Ford was the Nissan Navara which came in third, beating the Ranger to the post as the most popular pick-up. Honda also scored their first points in the top ranks, as the City took the title of the most popular sedan for the month; driven in part due to the increased number of Honda dealers now participating on AutoDeal. SUV’s continued to be the flavor of the month accounting for 26.91% of all sales, overcoming the subcompact category at 25.07%. Purchases in the SUV and Pick-Up categories have been steadily increasing throughout the year, growing from 23.68% in February to a whopping 40.63% in October. The mirrors with a proportionate drop for subcompacts which have slipped from 72.81% earlier in the year to just 25.07% as of October. This data could further signal the need for car buyers to complete the more expensive transactions before the year is out. In terms of location, sales continued to grow well in the Central Luzon and CALABARZON regions thanks in part due to increased buyer numbers in the provinces of Cavite, Laguna, Rizal, Batangas and Pampanga. 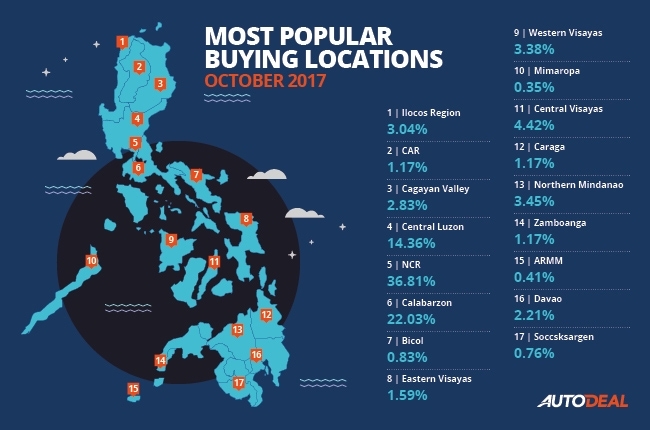 Other areas that saw increased transaction numbers were the Central Visayas, The Cordillera Administrative Region (CAR) and Bicol. 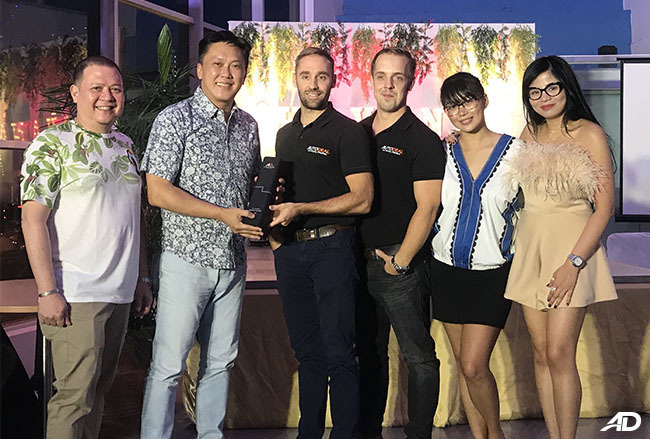 AutoDeal and Ford Global City have progressed together and blossomed into a fruitful partnership. 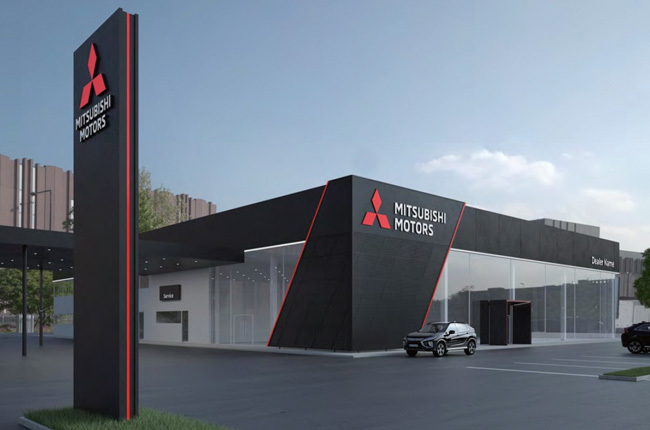 Which Mitsubishi Dealers received the best sales feedback from AutoDeal car buyers in 2018? These partner dealers enjoy the accessibility of the online platform, as well as the benefits of promoting monthly offers and getting instant feedback from their customers.